Masataka Koduka wurde in Kobe und bekam zwischen 1987 und 1997 von einiger japanischer Profi-Kontrabass Spielern (Takayoshi Matsunaga, Tetsu Saito und Satoru Iwata) für die Klassik-, Jazz-, argentinischer Tango- und Rockabilly-Methoden des Kontrabasses Unterricht. Auch lernte er in Buenos Aires Tango-Kontrabass-Technik von Hernán Maisa and Pablo Guzman. Seit 1987 spielt Koduka meistens in Tokio Jazz- und Rock-Gebiet bei der verschiedener japanische oder amerikanische Bands und Musikern (z.B. Maher Shalal Hash Baz, Frank Chickens, Cicala-Mvta, Compostela, Shibusashirazu Orchestra u.s.w. ) und Recording Sessions Kontrabass. Seine erste Band spielte die Film Musik für einen japanischen Film “Yama – attack to attack”(1985), der 2018 im Berlinale lief. Seit 2012 wohnt er in Berlin und spielt bei über 30 verschiedenen Projecten (z.B. Johanna Zeul, Ukulelenprediger, Happyhill Grass Cutters, Stella Ahangi, Masha Potempa, La Berlinga, Rodeo FM, Julia & the Deepsea Sirens, Esther Schwarzrock u.s.w.). Im 2014 machte er mit der Tangoband “La Berlinga” in Buenos Aires Konzerte. 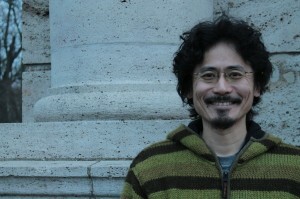 Masataka Koduka was born in Kobe, Japan. Since 1987, Koduka played bass in several Japanese (tango, folk, bluegrass, country, jazz, avangarde, pop, etc) bands, Orquesta del Viento, Cicala-Mvta, Bokka Kumiai（牧歌組合）, Afroblue, Kokoroba（こころば） and played with musicians from Maher Shalal Hash Baz, Frank Chickens, Compostera, INU, Shibsa-Shirazu, Guy Klucevsek’s ain’t Nothin’ but a Polka Band, Netanders etc. Since 2012, Koduka lives in Berlin and plays bass in bands in Berlin, Stella Ahangi (chanson),Mich the Black Harlekin (bluegrass),Rodeo FM (country), Julia & the Deep Sea Sirens (australian folk rock), La Berlinga & Duna Rolando (argentine tango), Esther Schwarzrock (german folk rock) etc. With the tango band “La Berlinga”, Koduka toured in Buenos Aires in 2014. He learned classic and tango methods of double bass from Takayoshi Matsunaga, who was the double bass player for Japanese reggae-dub Band “Mutebeat” and tango-band “Tango Crystal”. Koduka learned tango technique too from Hernán Maisa and Pablo Guzman, rockabilly technique from Satoru Iwata. Koduka plays Japanese legendary flute(Ryuteki) for Japanese traditional music(GAGAKU, KAGURA etc) for about 25 years and played for the wedding parties of many people. He playes another flutes, Shishibue for the Shishi-Mai(Lion Dance) and Shinobue for the festival music(Ohayashi) too. Masataka writes music reviews for japanese music magazine(“Music Magazine”) and the web music site in in Japan(ex. BARKS). Masataka likes the music of Charles Mingus, Astor Piazzolla, Bill Monroe, Robert Wyatt, Captain Beefheart, Fairport Convention, Ronnie Lane, Gram Parsons, the Band, Roxy Music, Bonnie Koloc, Sonic Youth, Masha Qrella, Julia & the Deep Sea Sirens etc. Masataka Koduka is good at building websites & E-Commerce systems, thinking the web marketing and developing internet systems speedy ,smart and reasonably. He worked in big develop projects in Japan. designed, developed and programmed DMP(internet retargeting etc.) system for DSP companies(Perl, KVS, MySQL, Linux). designed, developed and programmed websites for Germany artists and shops(WordPress, PHP, MySQL, Linux). designed system architecture for the Sponsored Search Advertising system(Oracle, Linux).